France is on the brain today and my mind has been wandering all afternoon about Bastille Day on the Champs-Élysées in Paris. The event marks the Storming of the Bastille (a medieval, fortress prison) and commemorates the liberation and unity of France. 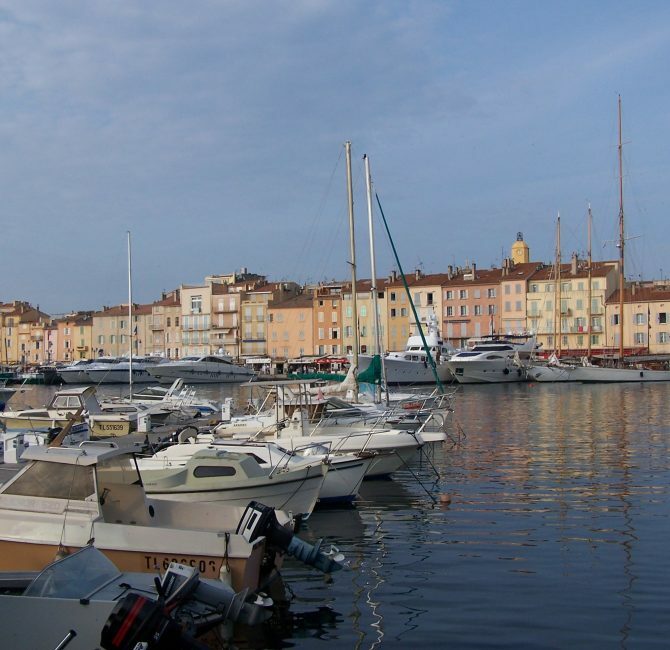 It has me dreaming of fluffy croissants, Laudree’s pastel colored macarons, shopping on the Champs-Élysées, commonly known as “The Most Beautiful Avenue in the World,” hitting the museums and sailing the French Riviera. After already delaying our sailing trip due to bad weather, I am anxiously waiting to see what the weather will do and if we can go tomorrow. It will be our last chance before leaving to head back to Atlanta. The plan was to sail out of downtown Pensacola earlier this week with Condor Sailing Adventures aboard a 40′ trimaran. Unfortunately, a cold front moved in and the weather has been terrible here in Gulf Shores with strong winds, surf and close to freezing temps. So, here I sit daydreaming about sailing, the water, the adventure and the nautical inspired clothing. It should be noted, most of these nautical inspired clothes aren’t even realistic to wear on a boat during the day while underway. Sailing is about function and safety. 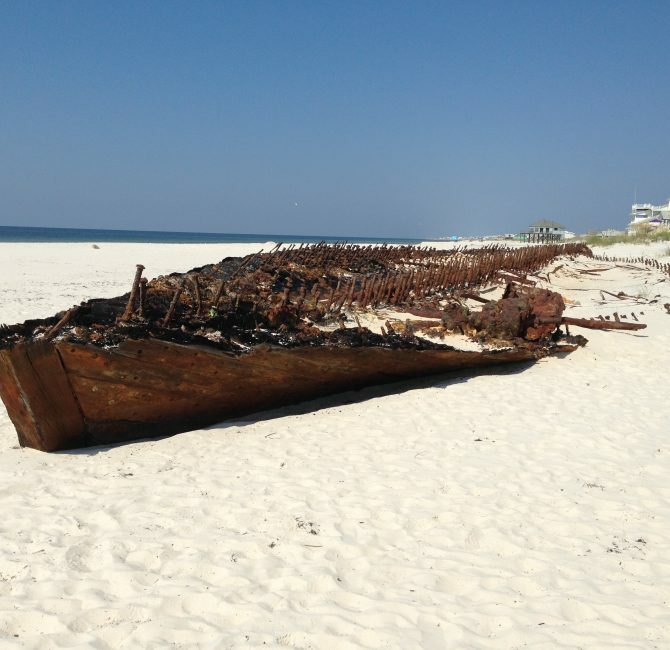 Fort Morgan is like reading an adventure book, something like Robinson Crusoe or Pirates of the Caribbean. Its location with the Gulf of Mexico on one side and Mobile Bay on the other already make it vulnerable to severe flooding, then put a Civil War fort at the end of it, add a sunken warship just off the tip, a historic lighthouse, and a shipwreck?? Doesn’t this seems like the perfect location for an adventure movie, especially with the small crowds, beautiful white sand and limited high-rises? I’m not sure why Hollywood hasn’t jumped on this. Today, we took a charter boat to Sand Island Light. If you look closely from Fort Morgan beach, you can see the lighthouse amid all the gas rigs out in the Gulf of Mexico. The lighthouse is three miles off Mobile Point where Fort Morgan is located, at the entrance to Mobile Bay. What an interesting history this lighthouse has and probably most surprising to me was at one point, you could walk from Dauphin Island out to the lighthouse, as it was connected by sand. Originally standing on a 400 acre piece of land with a keeper’s house, today the lighthouse is regarded as the last great masonry lighthouse still standing on the Gulf Coast. 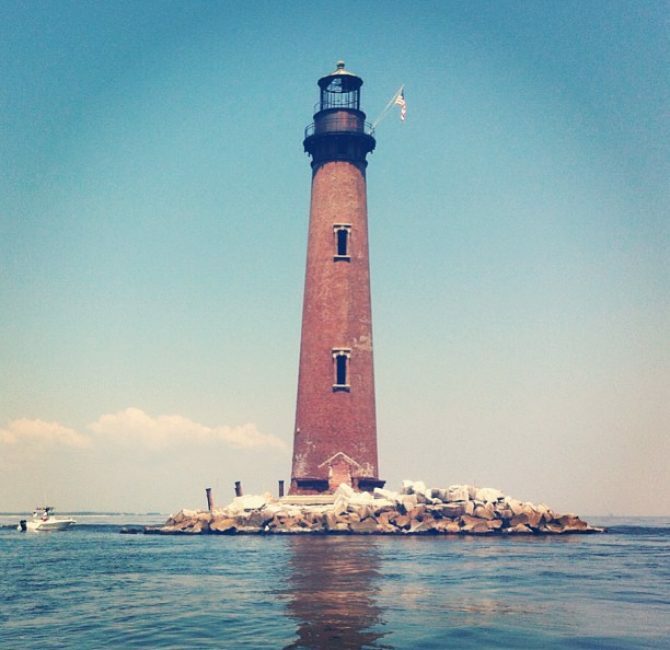 When it was originally constructed in 1838, Sand Island Light was the tallest lighthouse ever to be built.